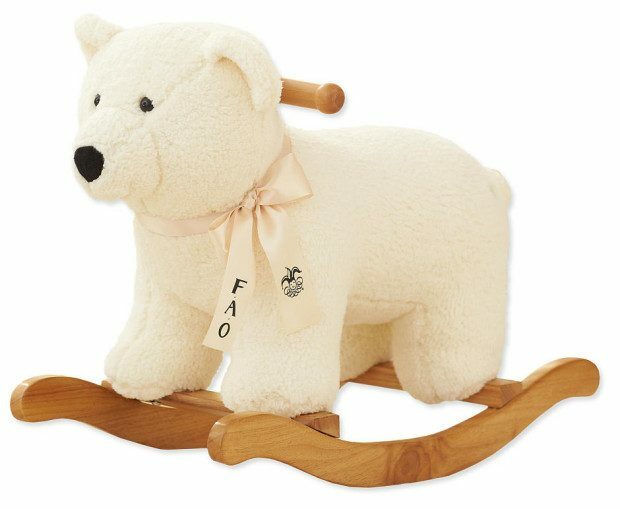 The FAO Schwarz Polar Bear Rocker makes a cherished keepsake. Huggably soft and easy to rock, this sweet polar bear will melt your heart. With warm friendly eyes and cute and fluffy ears, this cuddly guy is looking for a new home! This adorable piece is crafted with a solid pinewood base for smooth rocking. Shipping is FREE on orders of $19+ or opt for FREE store pickup! Click here to check out more Great Deals!